One of the pieces of news that might have been missed during the San Diego Comic Con event as the announcement from IDW Publishing of a new comic book series from the creative mind and hands of Tom Scioli, of Transformers vs GI Joe fame. Are you ready for the return of GOBOTS? Because that's what we're getting! Check out below the full press release and an image from Leader-1's new look! Soooooo...could this mean an honest to Primus new Gobots toyline? And might that mean some sort of break in the presumed endless 3-way-rights-tug-of-war between Hasbro, Bandai, and Time Warner? And will this be a part of the next IDW TF universe? The war on Cybertron spills over to an Earth where GoBots are already a part of human life? My personal dream would be for a comic universe where TFs interact with every minor-league mid-80s transforming robot toyline, from Convertors to Mysterions to the collective Buddy L line; that's the shared universe in the childhood minds of all of us old enough to remember the dawn of G1, amiright? If the lines are all dead with no chance of revival, who's gonna' sue Hasbro or IDW for "sharing" their trash, seriously? Bumblevivisector wrote: Soooooo...could this mean an honest to Primus new Gobots toyline? Tom Scioli's Transformers vs. G.I. Joe comic series didn't get a tie-in toyline. Bumblevivisector wrote: Soooooo...could this mean an honest to Primus new Gobots toyline? And might that mean some sort of break in the presumed endless 3-way-rights-tug-of-war between Hasbro, Bandai, and Time Warner? Warner/Hanna-Barbera is the biggest problem. Hasbro can make different transformations or slightly different looking alt modes, but it's the HB cartoon likenesses that people want the most. It looks like either HB finally gave in and licensed the likenesses out (and maybe are finally giving us some new figures) or Hasbro and IDW just doesn't care anymore and are doing it anyway. Well this is interesting but I think it may just be idw dealing with warner...no need to get hasbro involved as don't they just own the physical toys? Still tf v go-bots anyone? You guys are going to want cartoon accuracy & DEAR GOD NO! 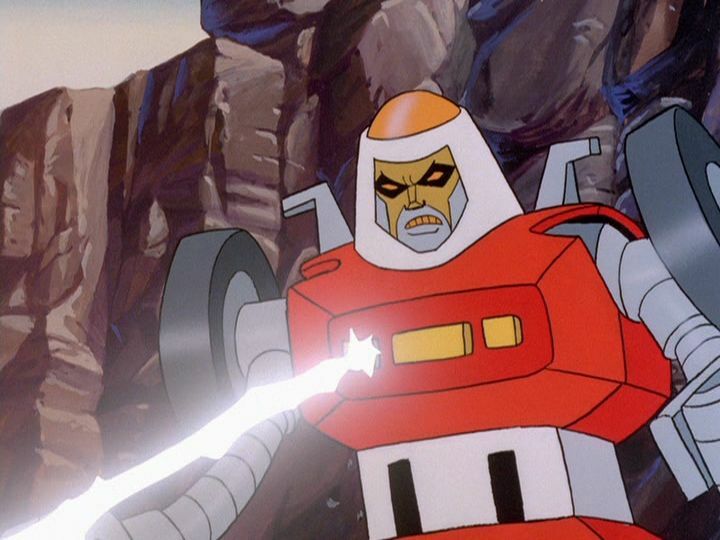 I love the Gobots but the cartoon was horrible & totally fucked up a lot of the characters especially Leader-1 & Scooter. Even when I was a kid the cartoon was almost unwatchable. What they did to Ramjet, Thrust & Dirge makes me sick (coneheads) but the Gobots took it to a whole new level. Leader-1 with a human face is 100% unacceptable. And my favorite character Cop-Tur? I love the Gobots toys but I'm trying to forget the cartoon. Emerje wrote: but it's the HB cartoon likenesses that people want the most. You will never know how sick you just made me. I can't believe anybody could support the cartoon over the awesome toys. If you guys support the cartoon over the toy designs then I guess I'll have to forget about ever seeing the Gobots again & just enjoy my memories. 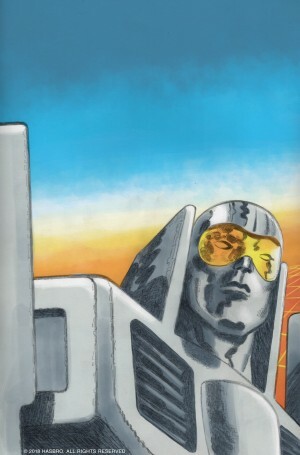 That picture of Leader-1 above looks like the Silver Surfer with goggles. Seriously, what is wrong with you people??? I just don't understand. And Scooter? You actually liked Scooter in the cartoon? Is that even possible? ZeroWolf wrote: Still tf v go-bots anyone? No. Stop it. Stop it now! This sort of thinking never leads to anything good. the cartoon was great for it's time fun a lot of what we see in transformers law was lifted from CotG-B. i'm a huge go-bots fan and can say with certainty that this only could've happened because of Warner Bros.
For years I've been saying there should be a live action Go-Bots comedy movie. Not only are the cartoon licenses being owned by Warner Bros an issue, but even moreso are the original toys being owned by Bandai. Since the cartoon likenesses are meant to resemble those original toys, Hasbro isn't comfortable with making new toys that resemble a rival company's old product, as that would be free advertisement for said rival's product. The previous case of Movie Fracture only happened because Joe Kyde had to prove that its deco was based on that of a real life race car, but its pink face w/ yellow eyes was still overtly based on Crasher (and "Crasher" was even the name that the toy was originally supposed to have, no less) to the point that it left Hasbro feeling uncomfortable, basically telling Kyde "We let this happen once, but please don't do it again." Let's hope that the Gobot comic is way better then the tv series. Aimless Misfire wrote: You guys are going to want cartoon accuracy & DEAR GOD NO! I love the Gobots but the cartoon was horrible & totally **** up a lot of the characters especially Leader-1 & Scooter. Even when I was a kid the cartoon was almost unwatchable. What they did to Ramjet, Thrust & Dirge makes me sick (coneheads) but the Gobots took it to a whole new level. Leader-1 with a human face is 100% unacceptable. And my favorite character Cop-Tur? I love the Gobots toys but I'm trying to forget the cartoon. I don't get what you mean, Leader-1's face looks like every other G1 Transformer. Do you hate their human faces too? I think it's a bigger problem when your blatantly insulting others for preferring something else over what you want, honestly it's stuff like that which makes me sick. The comic will either be cartoon or toy accurate, and those who prefer one over the other is gonna have to deal with it if their choice isn't picked. So just like how you gotta deal with there being a Bumblebee movie your gonna possible deal with a Go-Bots comic that looks like the cartoon instead of the toys. Thread title says it's ongoing, but that press release says it's only going to be five issues. Deadput wrote: I think it's a bigger problem when your blatantly insulting others for preferring something else over what you want, honestly it's stuff like that which makes me sick. He wasn't insulting anyone. Harden up a bit and learn to not take offense to everything. Aw, he uses the plain-looking toy face/Bike Robo face from Machine Robo. I was hoping he'd have the five o'clock shadow face his cartoon model had. Longlive Roddie wrote: Let's hope that the Gobot comic is way better then the tv series.